This little Terrier mix guy doesn't even have a name, let alone a family. He's not the only one either there are hundreds of dogs sitting in California county shelters just like him. Hoping to find a best friend, someone to love. Please lets find him a loving home! 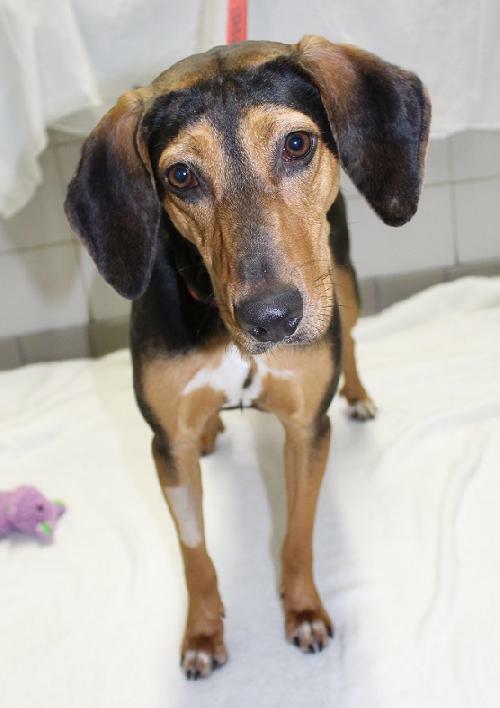 Callie is a precious and endearing hound mix, with droopy ears and an adorable face. Callie is loving girl, who is seeking an active, dog savvy home that will love her for all of her hound like qualities! True to her breed, she will follow her nose anywhere, loves to howl, and will make her great escape if given the chance. She is an energetic girl, who would love a family that shares in her enthusiasm for adventure and life. 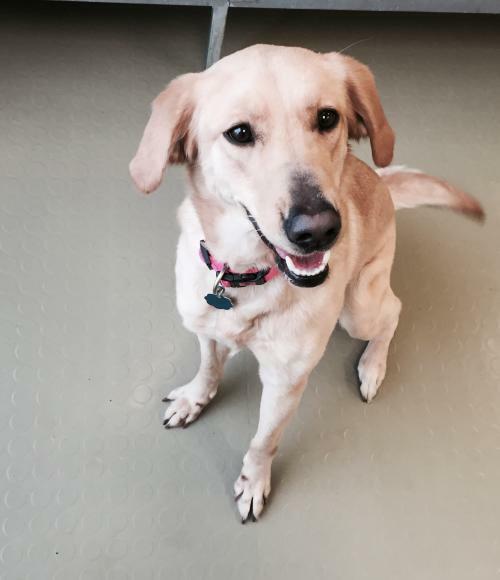 Callie is a very sweet pooch, and loves spending time with people, so she should be fine with children, under supervision. She does well with other gentle, relaxed dogs, but some dogs are too much for her, so her adoptive family will need to have the right doggie pal. A feline-free home is ideal for her as well. Please lets find Callie a great home! Bailey is a Labrador Retriever 1-2 yrs old. She is great for someone looking for a family friendly dog. She was originally in a home with young kids. Unfortunately she was surrendered due to a family member who became allergic. She is a sweet well behaved dog. Good with dogs, cats and house trained. Please lets find her a good home! 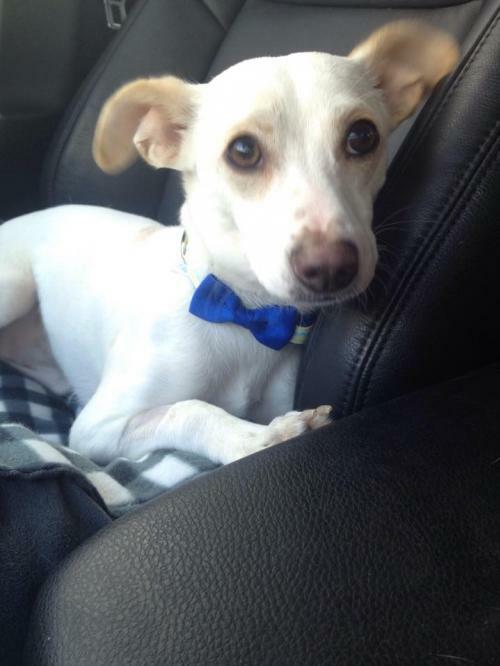 Petey is a young Chihuahua mix. He is a very sweet boy who came to his foster after being deliberately hit by a car. He went had surgery to fix his femur and has recuperated very well. He is a very happy boy who loves to play with his dog friends, he loves all sizes as long as they are not to rough with him. He also loves his toys, he prefers anything with a squeaker. Please lets find him a loving home! 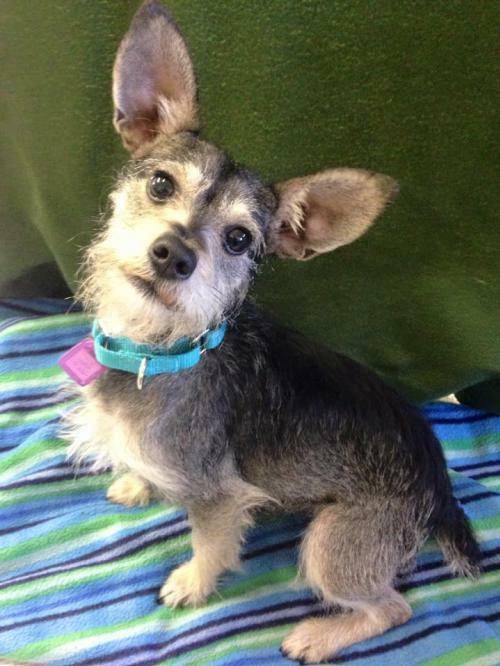 Casio is Miniature Schnauzer mix whois1 year old and 10 lbs. She has come a long way from that shy little girl who first came to us. Now she is an outgoing dog who wants to play, play, play. She will play with toys on her own or go for long walks to burn some energy. 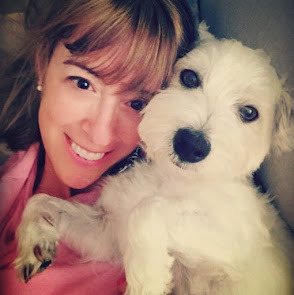 She would do best in a home without small children, but is looking for a more active family. Once she gets some exercise however, she is happy to sit in your lap and get some snuggle time in, but she isn't looking for a retirement home! 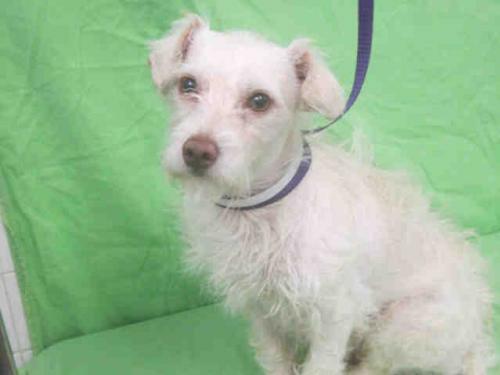 She is a younger girl who looks to be a Schnauzer mix. If you are looking for a dog who is always looking for fun, check out Casio, she is bound to keep you active! Casio is also dog selective, so would be happiest as the only dog in the household. Please lets find her a great home!